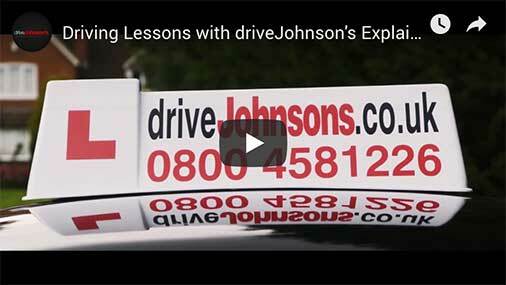 With instructors that know the test routes and local area like the back of their hand, our driving lessons in Huddersfield are the most sought after in the area. Our weekly lessons and intensive courses cater for every requirement, with extra benefits provided to learners, completely free of charge. Our instructors are very accommodating in regards to pick up and drop off locations for your lessons. Approved by 100's of students, we pick many learners up from the University of Huddersfield on Queensgate and drop them off at the end of their lesson at the train station, bus station, place of work or home. Beginners will be taken to some of the quieter ares of the city, whilst those with the fundamental driving skills who are preparing for test will be challenged in and around the test route areas such as; Edgerton, Birkby, Paddock and the A640/A62 which go around the centre of the city. Recently I passed my test with Imran he was a great instructor, he was good at building my confidence and made me feel relaxed. His teaching skills worked really well for me and I could really see myself progressing each lesson. I'm glad Imran was my instructor as he always pushed me to get that pass! Would recommend using him he's great! I just recently passed my test with Imran. Imran was a great instructor right from the very first lesson as he helped me feel confortable, confident and relaxed. He understood my goals and helped me achieve them in the shortest amount off time possible. It was an absolute pleasure being to be taught by him and I would highly recommend him to anyone. Thank you Imran. Good driving instructor, makes sure you know everything before you go into test, is really thorough when it comes down to this. Ensure you are patient when driving and don't rush things. This was probably the hardest thing as my old instructor would push me, making it unsafe to drive; Mohammed Sadiq helped me to realise this. I started lessons with Imran in December 2016 with a goal of passing quickly. Today I have passed my test 1st time! Imran made me feel comfortable straight away. His instructions were clear and easy to understand. He knew my goal and worked hard with me in order for this to be achieved. I would highly recommend Imran, it was a pleasure to be taught by him and I feel proud of what I have achieved with his help. Thank you Imran. Fab instructor with a great teaching method. Enjoyable lessons that are always productive. Great Driving Instructor! As someone who had already had a driving instructor before, Imran's advice and tips were deffo something I preferred to my previous one. The lessons were always productive and fun. Would definitely recommend to anyone and it was a pleasure to learn from him. Thank you Imran! Couldn't recommend more! Imran is so lovely and gave me the confidence I needed to pass! Learning to drive is a skill that you will obtain for life, so you must make sure to choose a reliable driving school in Huddersfield that will commit to helping you pass your test as safely and as quickly as possible. No matter where in Huddersfield you live, whether that be Brackenhall or Almonbury, our instructors will pick up and drop off in areas to suit you. All of instructors have been trained to a high level, they will deliver elements of your lesson using the latest technology through our online APP. Our grade A instructor David Wright said the following abut our driving APP resources "Sometimes a picture speaks a thousand words so looking at a tricky junction like Shorehead roundabout helps many learners visualise what is required, so when we do it practically they get it right sooner - saving money in the long run. I see many instructors just going over and over the same junction, sometimes it helps to try something different such as diagrams via our next generation APP available to our pupils too".